Students leaving school are faced with a number of daunting and challenging decisions that will ultimately shape their futures. With increasing demands and competitiveness in the job market students must maximise their chance for employment. It is the College's aim to expose its students to a wide range of employment opportunities in both traditional and non-traditional fields. At Domremy we believe that one of the most important aspects of career education is that students are aware that being employed does not bring security, being employable does. Domremy College encourages its students to become life long learners, helping to ensure that our students will at all times be employable. Formal careers education begins in year 10 with all students completing a unit on Careers Education as part of their PDHPE (Personal Development Health and Physical Education) program. Students also undergo vocational testing using the Allwell test that provides each student with a personal learning profile. 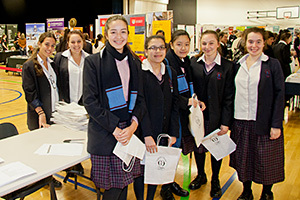 Towards the end of year 10 students attend University days where they visit the Universities and are able to become involved in workshops, lectures and Question and Answer sessions about various courses and pathways. At this stage students have access to the Colleges Careers Advisor and the Careers room that is readily available to all students of the College. Year 11and 12 students have the opportunity of having a one on one careers interview with the careers advisor to determine their University preferences, TAFE pathways or workforce options. The Careers Advisor is available to students and parents to discuss career issues, course decisions, subject selections, and to help with mock interviews, resume writing and a number of other related services. In addition students also receive newletters specific to careers news that provide them with information relating to University Open Days, Industry information sessions and Tertiary Course information.